come with a melting room. 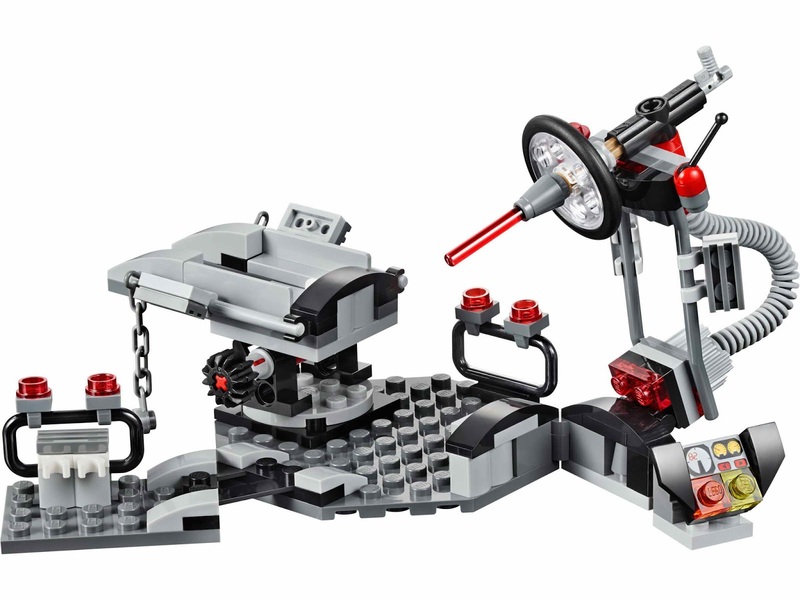 the room has a tiltable rotatable laser machine, a control dashboard and adjustable laser. 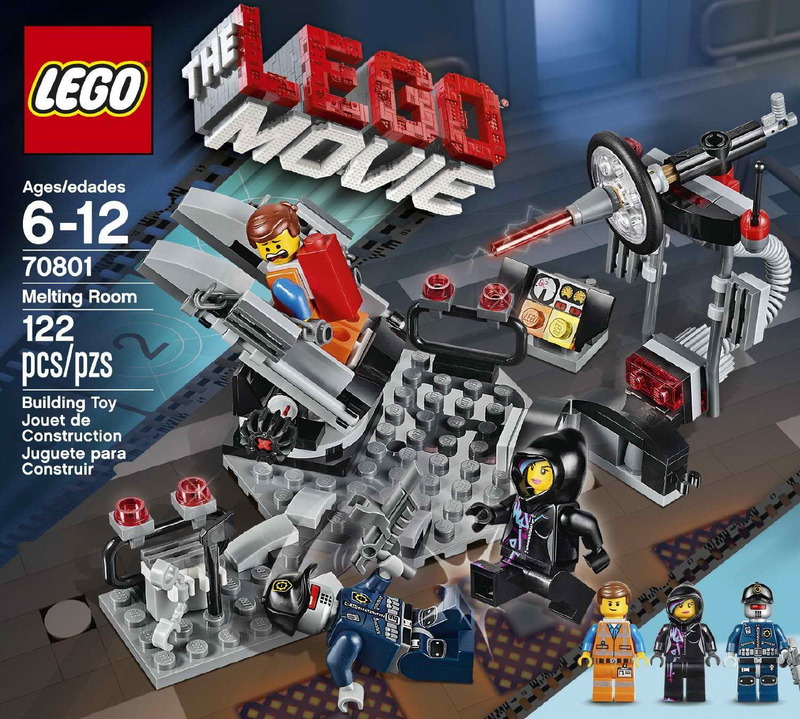 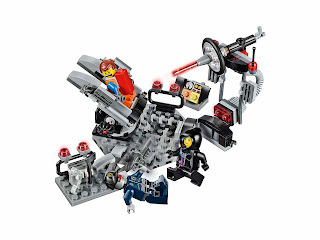 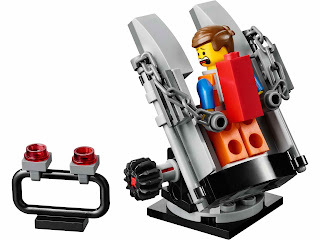 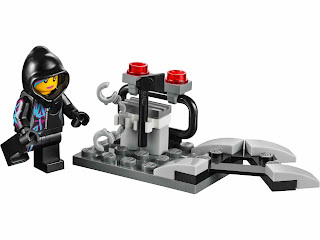 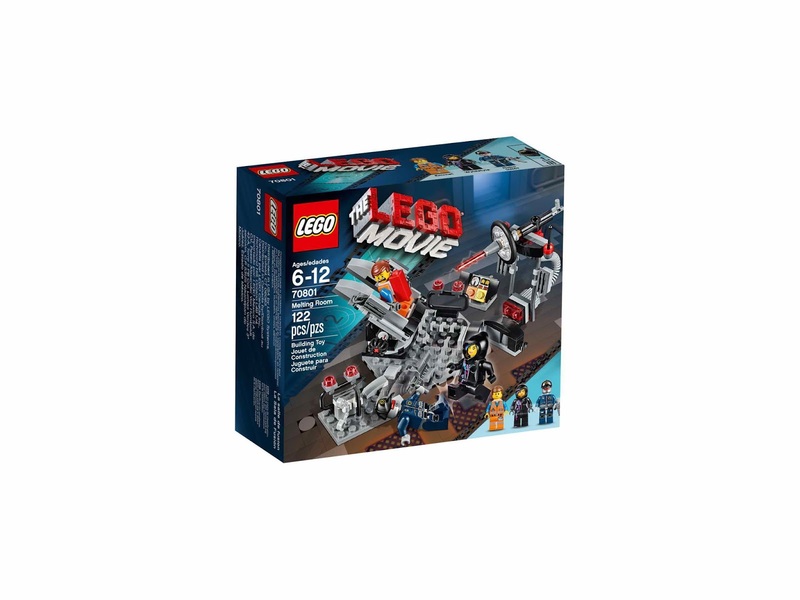 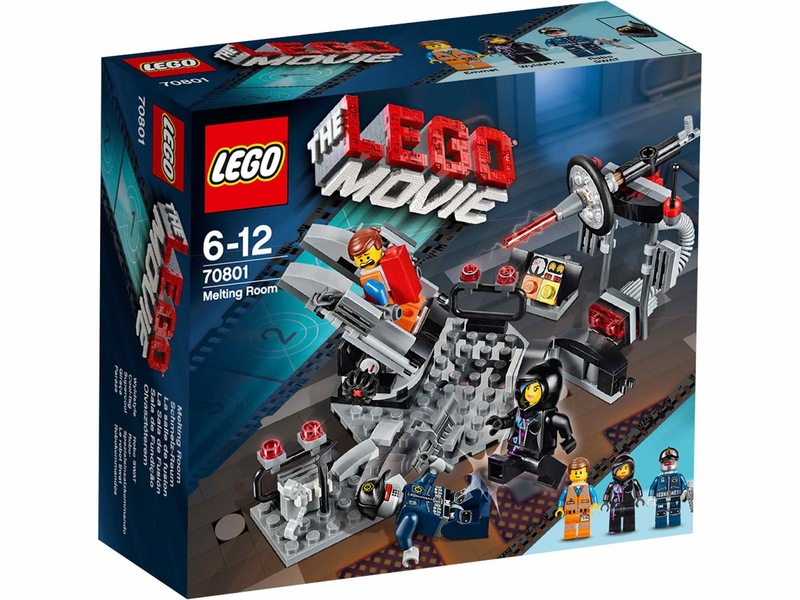 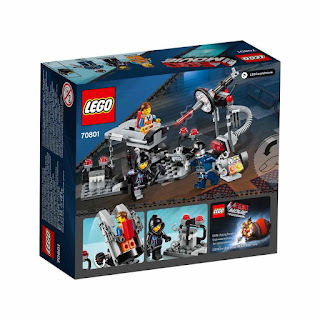 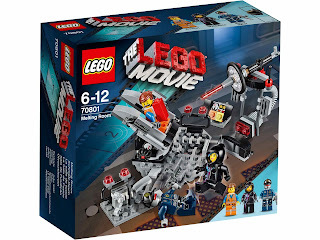 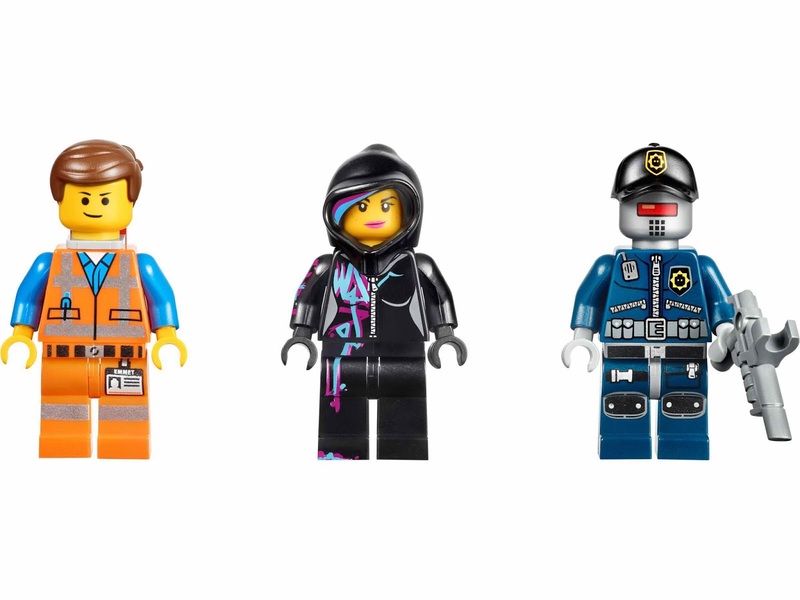 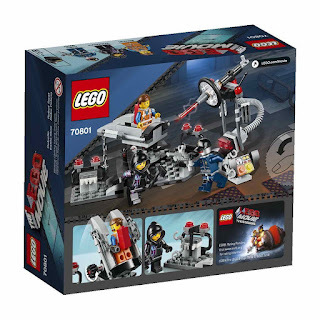 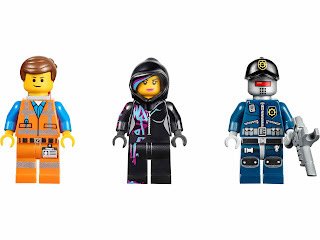 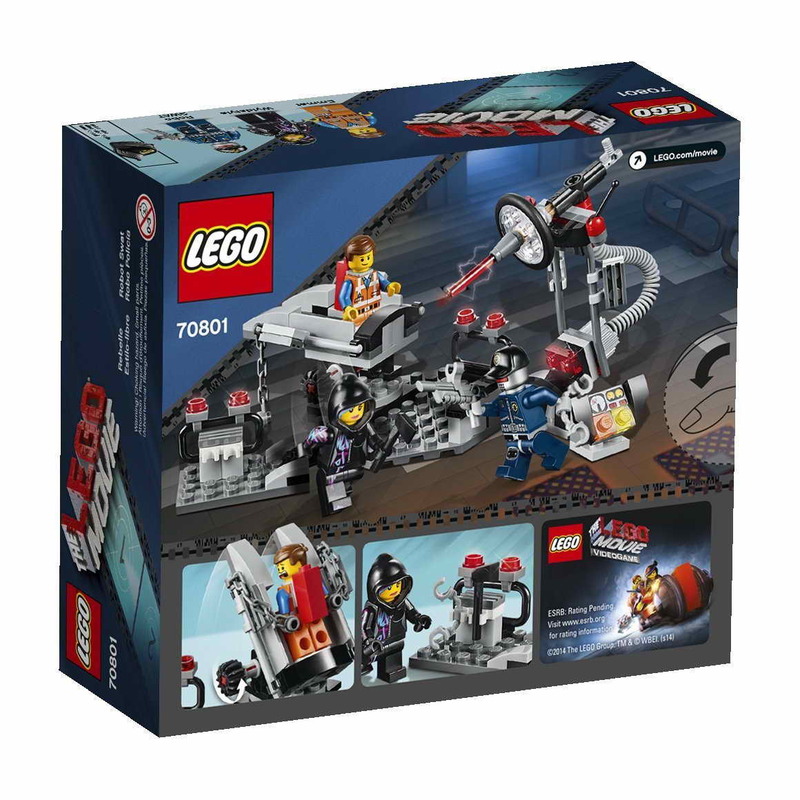 minifigs included an emmet minifig, a wyldstyle minifig and a robo swat minifig.